GRSE Recruitment 2019 - Apply Online for Apply Online/ Offline for Director (Personnel) Post in Department of Personnel & Training, GRSE, New Delhi on Absorption. Online Applications are invited by Garden Reach Shipbuilders & Engineers (GRSE) from 09 Apr 2019 to 14 Jun 2019 till 03:00 PM for 1 vacancy. Max- 3 years of residual service as on the date of vacancy w.r.t. the date of superannuation. The applicant should be a graduate from a recognized University/ Institute with a good academic record. Post Graduate Diploma or Degree in Personnel Management/ Human Resource Management or Masters in Business Administration (MBA)/ Post Graduate Diploma/ Programme in Management (PGDM/ PGPM) from a recognized University/ Institution will be desirable. The applicant should have at least five years of cumulative experience during the last ten years in various aspects of HR/ Personnel Management/ Industrial Relations in an organization of repute. Eligible candidates may apply online at Mazagon Dock's website (direct link is given below) from 09 April 2019 to 14 June 2019 03:00 PM. Now Click on “New User”, if you are a new user. Eligible candidates may apply offline by sending application form along with all the necessary documents to Smt Kimbuong Kipgen Secretary, Public Enterprises Selection Board, Public Enterprises Bhawan, BlockNo. 14, CGO Complex, Lodhi Road, New Delhi-110003. on or before 14 June 2019 till 03:00 PM. 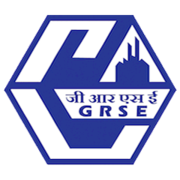 GRSE Recruitment 2019 - Apply Online for 21 Supervisor & JHT Posts in GRSE, Kolkata, West Bengal on Contract Basis and Permanent Basis. Online Applications are invited by Garden Reach Shipbuilders & Engineers (GRSE) from 02 Apr 2019 to 23 Apr 2019 for 21 vacancies.